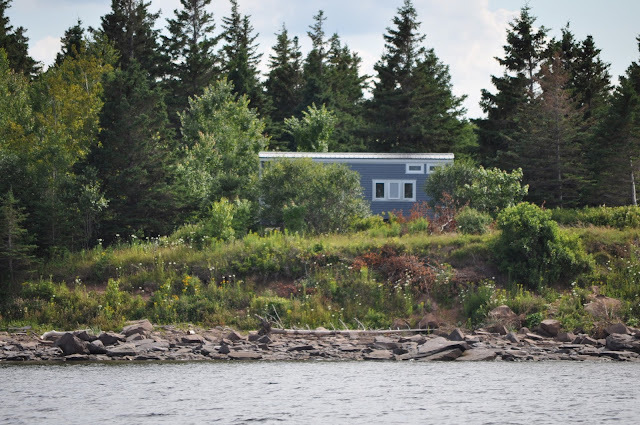 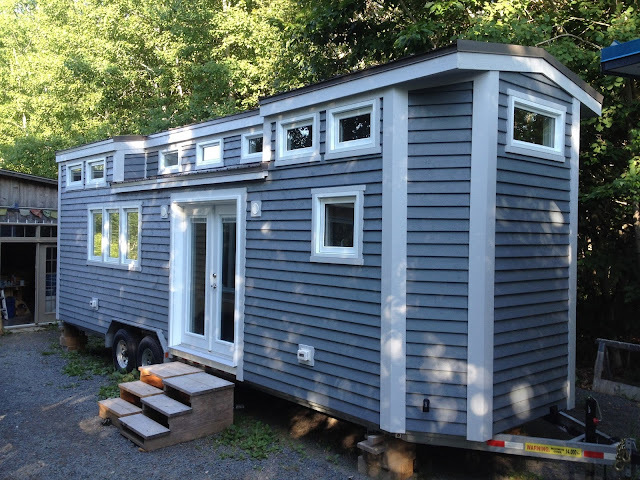 This beautiful, blue tiny house is designed and built by Full Moon Tiny Shelters of Lunenburg, Nova Scotia. 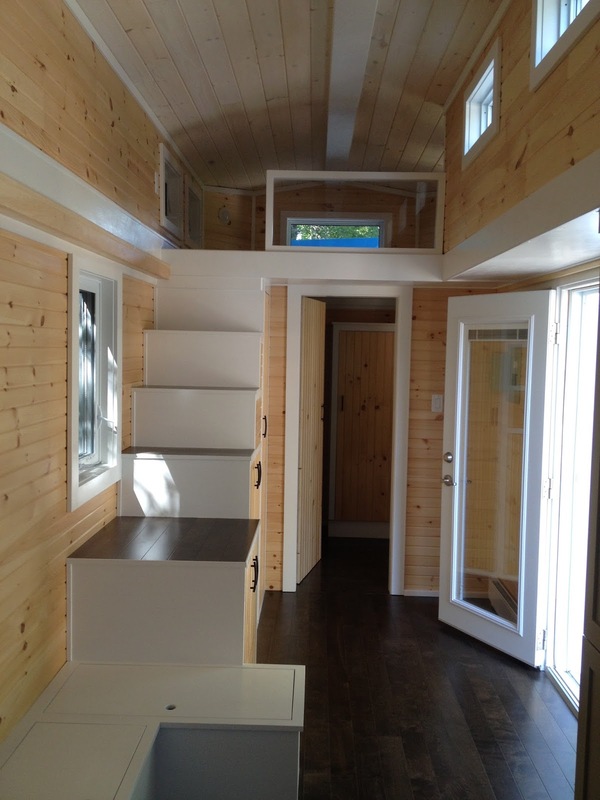 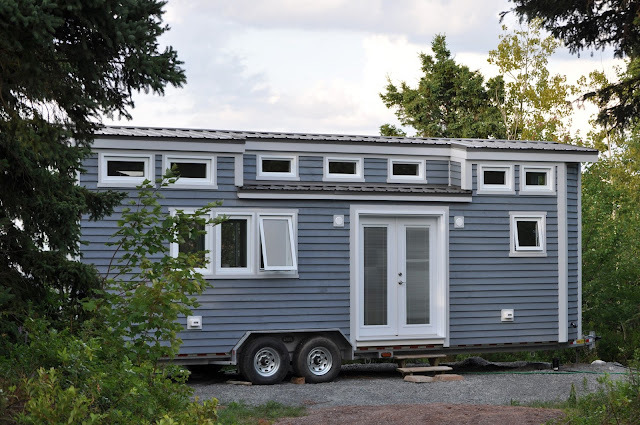 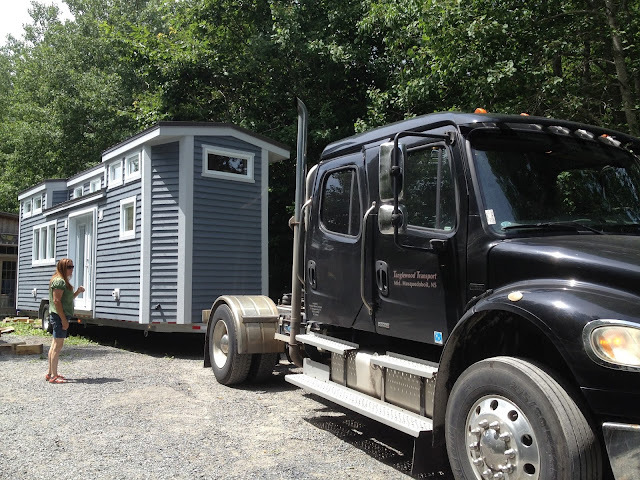 The home hits on a 28 ft trailer and has an interior size of roughly 238 sq ft. 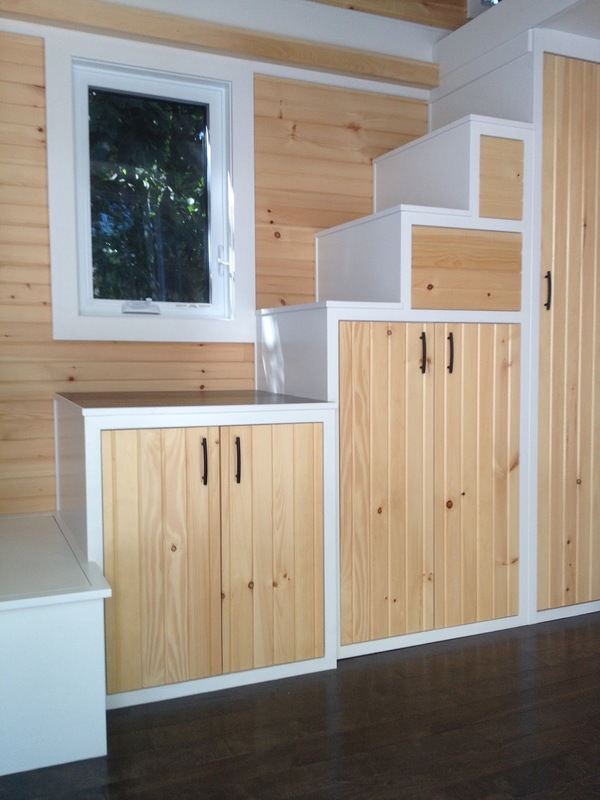 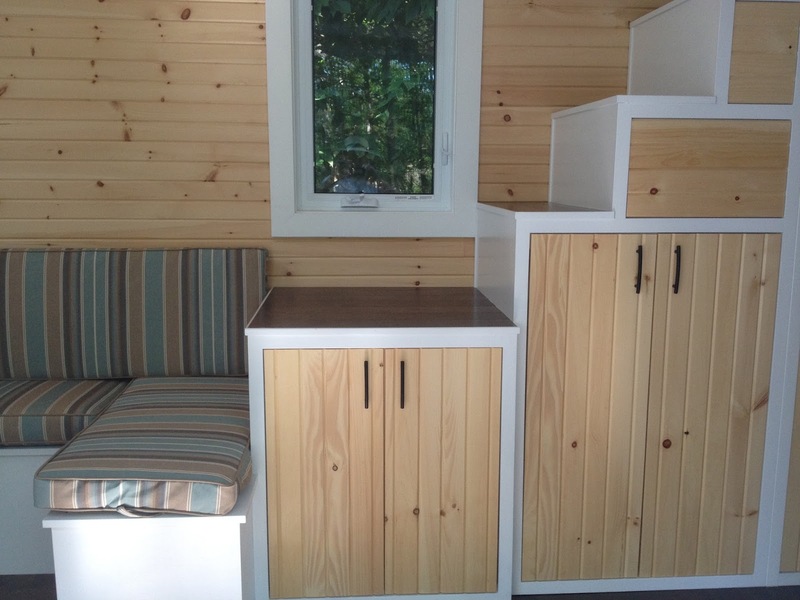 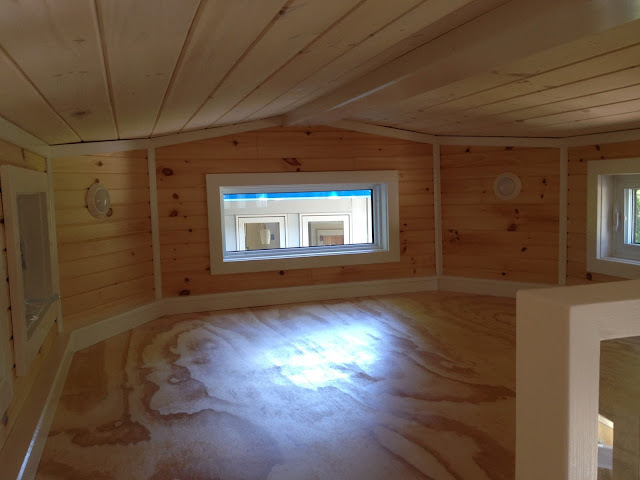 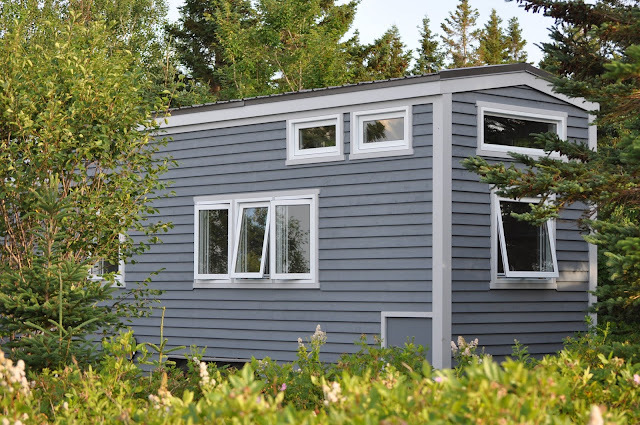 It comes fully insulated with electric baseboard heating and a hot water system.